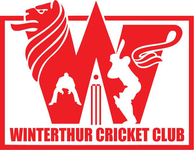 The Winterthur Cricket Club held the club's 37th Annual General Meeting on Monday 25th March 2019 at the Restaurant Tiefenbrunnen (Tösstalstrasse 76, 8400 Winterthur). As in previous years, the Restaurant Tiefenbrunnen opened its doors from 7pm especially for us. After granting members the time to read last year's AGM Minutes, matters on the agenda were dealt with swiftly. Jiten Patel was thanked for his accurate and detailed financial report, unanimouilsy approved by the meeting. Matt Allen & Vinny Patel were thanked for the years they had invested in the club. Kasun Munasinghe & Sahan Gamage were welcomed to the committee. The club's Auditors, Phil Martin & Ray Goddard were also re-elected. Club membership fees were unchanged by the Meeting and, after a short information round during Any Other Business in which, amongst other things, Alex Mackay provided an update on Cricket Switzerland, John Hallam closed the meeting.